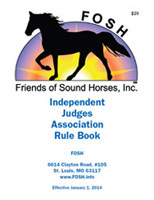 Be prepared to show at any FOSH sanctioned or affiliated show by studying our annual rule book. Very complete with details on way-of-going for each type of class, permitted equipment and attire, and of course, our FOSH sound principals. These instructional DVD’s were created for IJA by 8th Heaven Farm of Colorado. The 3 DVD’s include IJA Introductory Tests 1 – 4, IJA Two Gait Tests A – E, and the IJA Manual for Gaited Dressage. The Tests comprise ridden examples of each test with directive voice overs and superimposed patterns. 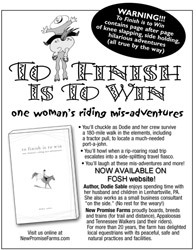 Over 4-1/2 hours of instruction on DVD and a 50-page book by David Lichman, one of only three Premier Five Star Parelli Instructors in the world. Learn to recognize the variety of gaits, methods to help both trotty and pacey horses find a smooth gait to ride on a loose rein. Use true collection and harmony to influence gait. Learn to find a clean, consistent, three-beat canter even for horse that find it difficult. Detailed, slow motion examples of all gait variations. Program includes- On Line, Liberty, Freestyle and Finesse and more. 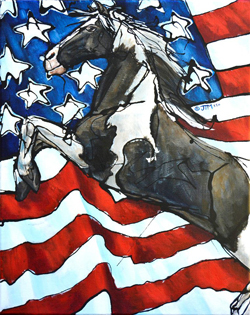 This handsome poster will look great in your stable, tack room, family room or horse-loving child’s room. 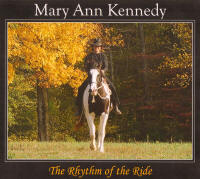 It features a variety of gaited horses trail riding, jumping, barrel racing, dancing in costume, and just being horses. 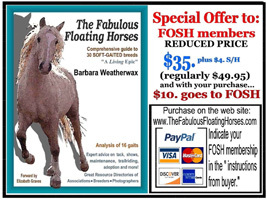 All are natural, happy, and sound and gaited, as the descriptive words framing the poster will remind you. 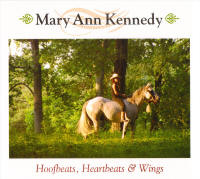 Mary Ann Kennedy, creates music that celebrates the horse. 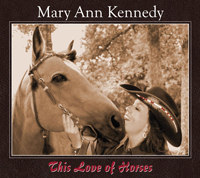 Mary Ann expresses what we all feel in our hearts for our beloved horses. Through melody, rhythm and humor in song, this is music that we horse lovers can listen and ride to. "When You Carry Me" was a special request from Linda Parelli. "Mary Ann Kennedy and I have known each other and worked together for almost 20 years. 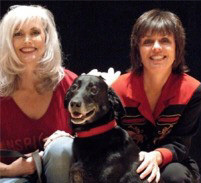 We share a deep love for animals. 'The Trail Less Traveled' celebrates the special relationship we have with these beings that bring us closer to our humanity by showing us love that is truly unconditional. This record is for anyone who has been down that trail. 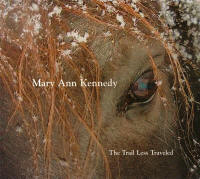 We still have a long way to go, but thanks to Mary Ann, we now have a soundtrack for the journey." 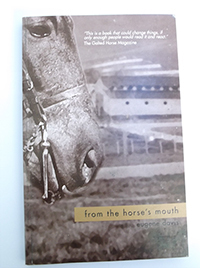 Written by a FOSH member and supporter, this book is a heart rending account of soring, from a horse’s perspective. You will feel the hope and joy of a young colt’s live, and move with him as he falls into the hands of a trainer who uses the illegal and cruel methods to improve his gait in the show ring. This is a book that will stay with you: you will cry and remember it for a long time, and you will love the ending. 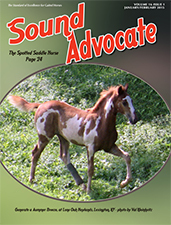 Be an active supporter of the good work that FOSH is doing to protect gaited horses, and enjoy the Sound Advocate newsletter mailed to your home every 2 months. It is loaded with schedule of events, training tips, news from shows and FOSH members, and an update on what your organization is doing. Your donation is tax deductible.